1. rubber tires: zinc oxide dispersion for silicon rubber, boots, rubber gloves and other labor products, it can greatly extend the life of the products, and improve their appearance and color. It is irreplaceablein by other traditional carbon black surfactant in the use of clear or colored rubber products. Zinc oxide dispersion can also greatly improve products wear resistance and sealing effect. 2. Paint coating: zinc oxide dispersion can make coating with UV shielding to absorb infrared rays and sterilization Antifungal and improve paint with stain resistance, resistance to artificial aging, water-alkali resistance, abrasion resistance, hardness and adhesion, and other traditional mechanical properties. 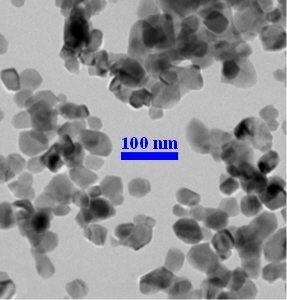 Zinc Oxide Nanoparticle,Zinc Oxide Nanopowder,ZnO,Zinc Oxide Nanoparticle supplier,Zinc Oxide Nanopowder supplier,ZnO supplier,ZnO nanopowder,ZnO nanoparticle,nanoparticle ZnO,nanopowder ZnO,nanopowder,nanoparticle,Zinc Oxide Nanoparticles,ZnO nanoparticles,Zinc Oxide Nanoparticle,Zinc Oxide Nanopowder,ZnO,Zinc Oxide Nanoparticle supplier,Zinc Oxide Nanopowder supplier,ZnO supplier,ZnO nanopowder,ZnO nanoparticle,nanoparticle ZnO,nanopowder ZnO,nanopowder,nanoparticle,Zinc Oxide Nanoparticles,ZnO nanoparticles,Zinc Oxide Nanoparticle,Zinc Oxide Nanopowder,ZnO,Zinc Oxide Nanoparticle supplier,Zinc Oxide Nanopowder supplier,ZnO supplier,ZnO nanopowder,ZnO nanoparticle,nanoparticle ZnO,nanopowder ZnO,nanopowder,nanoparticle,Zinc Oxide Nanoparticles,ZnO nanoparticles, AZO Nanopowder, nanoparticles, US Research Nanomaterials, Inc., Zinc Oxide Nanoparticle,Zinc Oxide Nanopowder,ZnO,Zinc Oxide Nanoparticle supplier,Zinc Oxide Nanopowder supplier,ZnO supplier,ZnO nanopowder,ZnO nanoparticle,nanoparticle ZnO,nanopowder ZnO,nanopowder,nanoparticle,Zinc Oxide Nanoparticles,ZnO nanoparticles,Zinc Oxide Nanoparticle,Zinc Oxide Nanopowder,ZnO,Zinc Oxide Nanoparticle supplier,Zinc Oxide Nanopowder supplier,ZnO supplier,ZnO nanopowder,ZnO nanoparticle,nanoparticle ZnO,nanopowder ZnO,nanopowder,nanoparticle,Zinc Oxide Nanoparticles,ZnO nanoparticles,Zinc Oxide Nanoparticle,Zinc Oxide Nanopowder,ZnO,Zinc Oxide Nanoparticle supplier,Zinc Oxide Nanopowder supplier,ZnO supplier,ZnO nanopowder,ZnO nanoparticle,nanoparticle ZnO,nanopowder ZnO,nanopowder,nanoparticle,Zinc Oxide Nanoparticles,ZnO nanoparticles, AZO Nanopowder, nanoparticles, US Research Nanomaterials, Inc.